Maybe there are areas that are too hot or too cold. Perhaps drafts make parts of your home uncomfortable. Or you have an old system that’s no longer up to the job. Plumbing problems can cause extensive and costly damage. Don’t wait! We’re the fastest most professional plumbing repair service in the Northern Kentucky/Cincinnati area. Call today. Do you need plumber in Northern Kentucky? Then you have come to the right place! 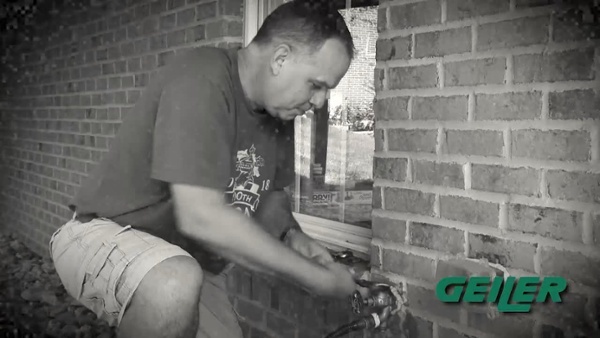 Since 1885, homeowners and businesses throughout the Northern Kentucky/Cincinnati area have come to trust Geiler Plumbing, Heating and Air with all their heating, cooling and plumbing services. Few things are more frustrating than leaking pipes, clogged plumbing or broken water heaters. At Geiler Plumbing, Heating and Air, we take care of all your various plumbing and water problems so that your house continues to run smoothly year round. Since 1885, we at Geiler Plumbing, Heating and Cooling have been serving the Northern Kentucky areas of Boone, Campbell and Kenton county. Our Plumbers repair and replace water heaters, toilets, faucets, disposals, sinks, clear clogged drains and repair all types of leaks and breaks. We provide scheduled and emergency plumbing service and around the clock plumbing service 7 days a week to Northern Kentucky and surrounding areas. Click Here for more information on our many plumbing services. We are experts in affordable, Northern Kentucky heating and cooling repairs and services. We are a company which works with clientele throughout all of Northern Kentucky areas of Boone, Campbell and Kenton county and the surrounding areas to supply comprehensive air conditioning and heating services such as heating installation and replacement, heater repair and maintenance programs, air conditioning system installation and replacement, as well as A/C repair and maintenance. We have detailed and complete understanding of forced air systems, ductless split heating and air conditioning, furnaces, heat pumps, thermostats, zone control systems. Contact our knowledgeable team today and let us assist in repairing yourNorthern Kentucky heating and air problems quickly. Don't let the summer heat get you down in Northern Kentucky. If you need a new air conditioning system or repair, that is where Geiler Heating and Air Conditioning comes in! We provide all residential or commercial air conditioner services you may need; from air conditioner repair and air conditioner replacement to air conditioner recharging and air conditioner preventative maintenance! The Geiler Company provides emergency plumbing service 24 hours a day, 365 days a year in Northern Kentucky and the surrounding area. Companies throughout Northern Kentucky areas of Boone, Campbell and Kenton county rely on the certified HVAC technicians from The Geiler Company for all of their HVAC repair and service needs. Take advantage of our service agreements or simply give us a call when your heating, ventilation, air conditioning or refrigeration equipment needs repairs.click here for more information on our commercial HVAC services. You may think the air quality in your Northern Kentucky home or business is better than the outdoor air, but if you find yourself going about your day with itchy eyes or the sniffles, you could be wrong. The U.S. EPA has estimated that indoor air can be 2-5 times more polluted than the outdoor environment, ranking indoor pollutants as a top five environmental health concerns. If you suspect the indoor air quality in your Cincinnati area home is poor, Geiler Heating and Air Conditioning will be able to help. click here for more information. The Geiler Company provides emergency service 24 hours a day 365 days a year to meet your needs. Call the Northern Kentucky air conditioning, plumbing and heating experts at Geiler, Plumbing Heating and Air for HVAC services including heater and air conditioner installation and repair at 513 574-0025. Companies throughout the Northern Kentucky areas of Boone, Campbell and Kenton county, rely on the certified service technicians from The Geiler Company for all of their HVAC repair and service needs. Take advantage of our service agreements or simply give us a call when your heating, ventilation, air conditioning or refrigeration equipment needs work. Two years ago last June our 30 year old boiler died. Luckily, because it was summer I took the time to get seven estimates from all the big name heating companies in town. Not only did Geiler give me the best price, they did a great job and were very professional. If you are out of heat in the middle of winter, just do yourself a favor and call Geiler.